Now through November 11th, Target is offering 25% off one Toy, Sporting Goods or Kids Arts & Crafts item when you text TOY to 827438 to get the coupon delivered to your mobile device. This coupon is valid in-store and online with the unique promo code you receive. Final Cost = $40.49 shipped! 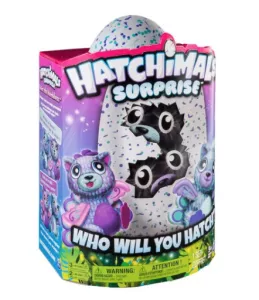 If you don't want to use your coupon yet you can get the Hatchimals Surprise – Peacat – Hatching Egg with Surprise Twin Interactive Hatchimal Creatures is in stock for $53.50 (Retail $69.99)! I always recommend buying these items now in advance to the holidays before the prices are out of control.